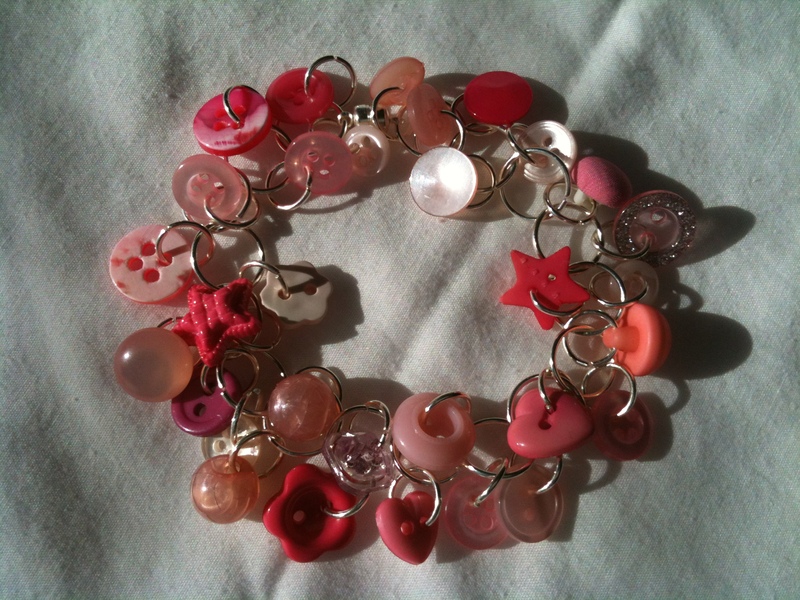 More bracelets… using unique charms. Been a few days since I last posted, but have been working on getting organized and figuring out what I wanted to do next. I also had a visit from one of my favorite little people, my grandniece “S” (I probably shouldn’t use her name here). I think she has become one of my biggest fans of the crafting and she loves the bracelets I have been making. So, I decided to make one for her. And since I was making one for her, I have to make one for her little sister. 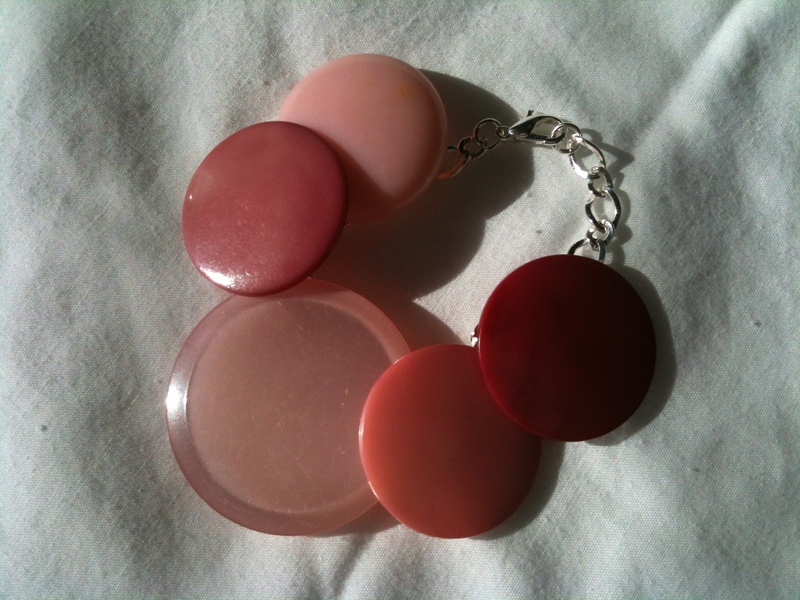 But since she is younger, I decided to make it large pink buttons to make it simple and sturdier. 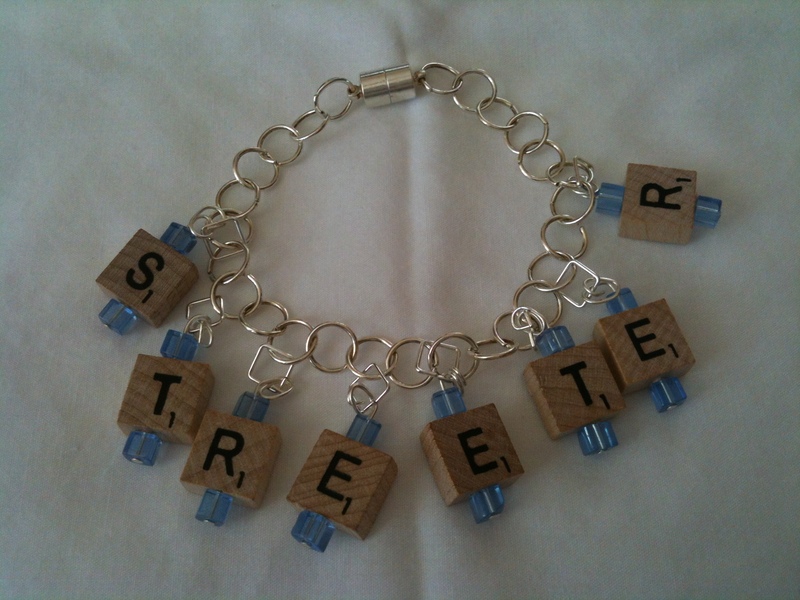 While I was at it, I finished up my bracelet with the mini-Scrabble tiles. This one was for me and has my son’s name. I like it’s simplicity. 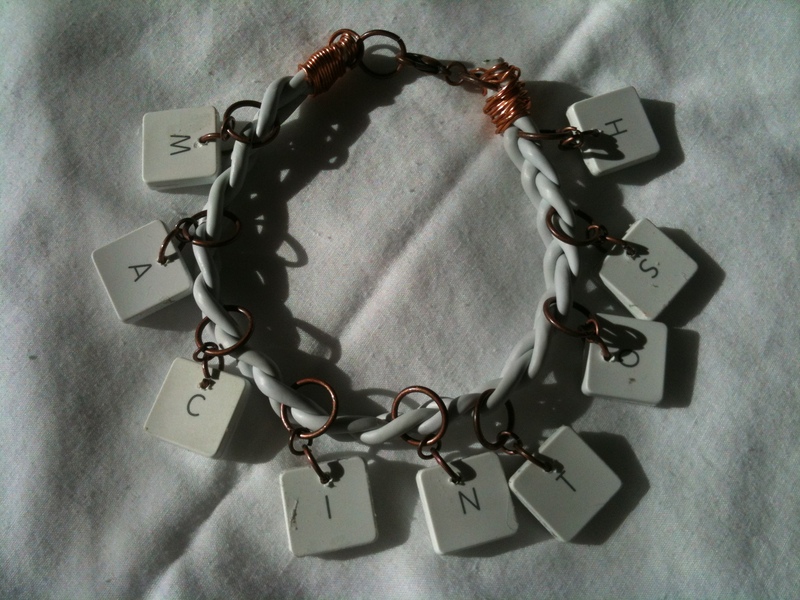 And last but not least, this is a bracelet recycled from Macintosh keyboards. I actually bought non-working keyboards and took them apart. The strap was made from three USB cables braided together and the charms are made from keys from the keyboard, actually two glued back to back. I need to find a better way to seal the ends of the braid and I wished I’d used sliver jump rings and clasp instead of the copper. I have lots of keys left, so I may try another one. So that’s it for now, hope your new year is full of special arts and crafts, but mostly special people.